First, my review refers to the 1997 3rd edition. 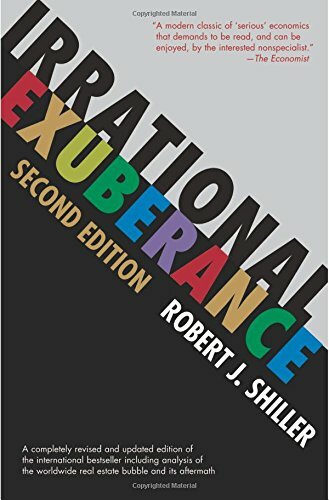 Since this book is regarded as the bible of derivatives (it was also my first introduction) I will leave it to others to praise it and concentrate instead on what's wrong with it. First and foremost, one cannot learn how correctly to formulate solutions to stochastic differential equations from this text: eqns. (10.7,8), e.g., are not correct for arbitrary returns but are valid only as approxmations for small returns (Hull leads the reader to believe the opposite). The problem is that Ito's lemma is only stated, not proven, and it's the proof that shows one how to formulate correctly the stochastic integral equations that Hull calls 'stochastic difference equations'. When volatility depends on returns and/or time, then the errors made from following Hull's oversimplified treatment become serious. My first impression of Baxter & Rennie's 'Financial Calculus' was that it was unnecessary and a waste of money. My opinion reversed completely after realizing (under prodding by a physics colleague who's an expert on sde's) how badly Hull's approach to sde's really is. Also, the systematic derivation of Black-Scholes from the assumption of a replicating, self-financing strategy in B&R is very nice. As Feynman said, we don't really understand a result until we can derive it from many different viewpoints. The method is not really different in principle from the standard short derivation given in Hull, but it does provide a nice, clear example of what is meant by replication and self-financing in the terminology of Brownian motion/sde's. This book is a solid introduction to pricing derivatives and explains in lucid detail all the techniques you need to get up and running with numerical valuation. It is aimed, I would say, at advanced MBA students and practitioners on the job already. That is to say, Hull doesn't spend too much time on theory (for instance, his explanation of HJM summarizes several of their papers and a number of preludes into a few paragraphs). I would also say that the more theory-oriented reader would benefit from reading Hull. It provides a fresh picture, distinct from the essential theoretical foundations of Merton, Duffie, Campbell, and Cochrane. Thus, to learn CAPM, state prices, or portfolio choice, look elsewhere; to learn how to price derivatives in practice, this is your best bet. This is a great manual for market practitioners. It does not use detailed math, does not go into issues of corporate finance. But it is very easy to follow and it is "complete". More than that, the book is to the point and very clear. Market professionals will find the examples spread around the book very useful for their daily work. The surprising new book by Nefci which I just got, but did not have time to study in detail, seem to provide all the missing links. I had used an earlier edition of Hull, and it appears that John Hull adds all the relevant material needed for market finance with each new edition. In fact I have purchased several books on Mathematical Finance and Derivatives but few of them remain on my desk for future consultation. I am a huge fan of this book. 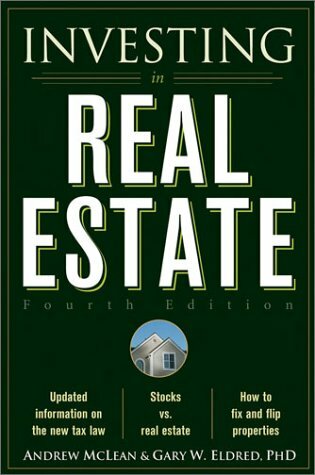 The fourth edition was the single most influential text in my study for my MBA. It opened new kinds of thinking for me and helped me understand the intuitions and they methods for valuing the various kinds of derivatives. While the language is not simple, it is not arcane. Some complain that the mathematics are not rigorous. So what? There are such books on the market and are suitable for those that want them. This is the standard book for thousands of MBAs who need a solid foundation, but do not need to be able to higher math to understand how a binomial tree works or to even create one my hand. Certainly, it is helpful to understand the math as deeply as you can. However, the reality is that most of the time practitioners use pre-made tools to run their Monte Carlo simulations rather than programming from scratch. 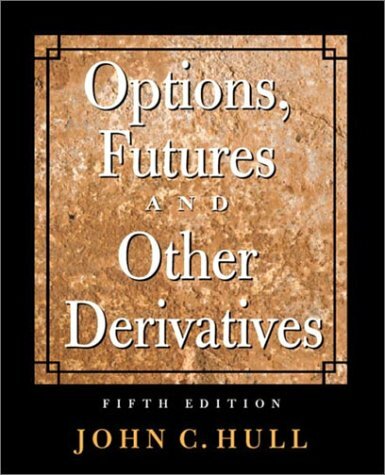 There are several new chapters on very helpful and interesting topics (using futures for hedging, numerical procedures, swaps, credit risk, real options, insurance, derivative crises, and more). Some of this is new and some adapted from previous editions. Other material has been rewritten and clarified. DerivaGem 1.5 is included with the book, but a URL is provided to get the latest version from Prof. Hull's website. This is a terrific book and I consider it one of the most valuable on my shelf of business texts. It is one I would never want to be without and one of the few I am willing to keep up with the new editions. While no book is perfect for every use in every situation, this is one of the great foundation texts. Professor Siegel has checked history again.This time he has looked for ways to do stock investing that have performed better than indexed mutual funds for tax-deferred accounts. 1.High dividend yields, when reinvested in the same stock, provide superior returns.That's only true in a tax-deferred account, of course. 2.Buying stocks with low multiples that grow faster than expected is much easier and more profitable to do than simply choosing companies in fast growing industries. 3.Exciting new companies make lots of money for founders, employees and venture capitalists . . . but not enough for investors. 5.The most productive companies are those who develop new business models (something I discuss in The Ultimate Competitive Advantage) regardless of how bad the industry is. 6.Beware of excessive valuations . . . no matter how good the future looks. 7.If a company has neither a high dividend nor any cash, assume something's wrong with the accounting. 8.Indexed stocks in slower-growing emerging markets have high potential to deliver huge gains in the future due to demographic influences. In addition, Professor Siegel addresses the question of what to do about paying for the retirements of all those Baby Boomers around the world.His proposal is to encourage young emerging market workers to purchase the assets of older workers in the developed world.You'll find the argument to be intriguing and compelling. I cannot remember reading a more stimulating and original book about investing.I was particularly impressed by his historical research that shows the superiority of sticking with companies that have been around a long time rather than searching out newer companies to buy.I think the exception to the latter comes in those cases where the management has proven to be adept at improving upon their business models to provide more value to customers. 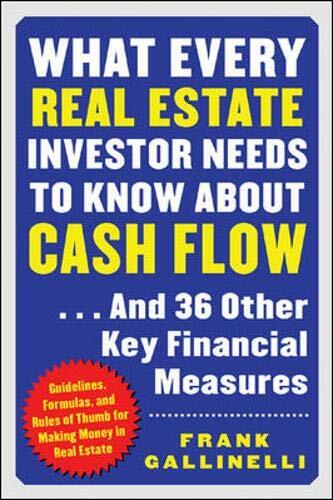 Almost every investor would benefit from reading and thinking about this book. Consumer Brand Names/consumer staples and healthcare industry have been strong performers. The relationships of the top performers' P/E and growth rate. Low P/E,high dividend stocks outperform. These findings of characteristics make this book worth 5 stars. The book also predicts a "global solution" to the demography issue. This solution is like saying a wealthy family that can no longer produce would sell their assets to the productive newcomers in order to maintain the life style are have become accustomed to. If this turns out to the solution, it's a pathetic one. Jeremy Siegel has rediscovered the importance of dividends.When Charles Dow did his seminal research nearly a century ago he relied on dividends and ignored reported earnings because he knew that companies were lying on their balance sheets.Dividends, on the other hand, don't lie.Dividends let you compound.Very old fashioned. 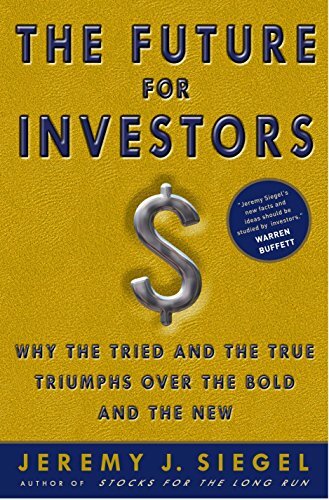 The other important point this book makes is that investors almost always overpay for growth.He calls this the growth trap.It is critical for investors to distinguish between those companies whose innovations power the economy and those that provide superior returns to investors.They are usually two different things. Many people seem to have learned nothing from the recent bursting of the NASDAQ bubble.Siegel has the research that shows what went so wrong several years ago and how to keep your head if it happens again. Jeremy Siegel did it again with his new book. Filled with historical facts and observations, he shows how a company with 10% earnings growth is often a better investment that a company with 20% earnings growth. The reason for this phenomenon can be summed up in one word--valuation. Fast growing companies are expected to grow and that is taken into account in its price. Slower growing companies are expected to grow slow. Professor Siegel shows how some of the best performing stocks in the past half century were companies with good dividends and earnings above expectations. He proves his point by comparing Standard Oil of New Jersey and IBM. IBM has grown faster than Standard Oil of New Jersey by any measure, except stock appreciation. Professor Siegel also explains how fast growing sectors are not always good investments. Obviously, technology stocks in 1999 and 2000 were fast growing, but some of the worst investments you could have made. He also uses the Financial sector as an example. It has been one of the two fastest growing sectors in the past 50 years, but the stocks within the sector have not performed as well as the S & P 500. The reason this is possible is because new companies enter the business. These new companies bring competition and make the sector bigger, but not more profitable. 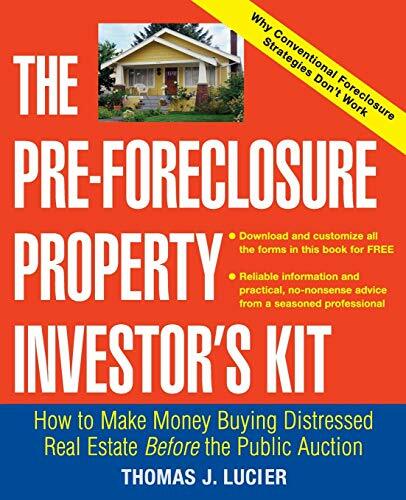 This book is great for any beginning investor or any professional. This latest edition of Investments continues the legacy of excellence established in previous versions. Chapters on behavioral finance, arbitrage pricing theory, multifactor models of risk and return, and international diversification have been dramatically rewritten to meet changes in today’s transformed markets. In addition, unnecessary mathematical and technical detail continues to be left out wherever possible. The book by Bodie et al is unquestionably, the best introduction to Investment Theory available today. Please note that there is an emphasis on the word introduction, because there is much that can be covered after the book ends. This book provides a springboard from which the student can take off in different directions viz. Derivatives, Risk Management, Portfolio Management etc. The language is simple, and there are no mathematical demons in the book. The Concept Check questions are extremely valuable and should be attempted before the reader delves into the equally challenging exercises at the end of the chapters. The book starts with an introduction to the different types of markets and financial instruments present today, and then moves into investments, risk etc. The book touches upon a number of topics including bonds, financial statement analysis, security valuation, derivatives and hedging. Like other multipurpose book, it does not go in-depth into any of these, but provides the reader a brief introduction to each of them for help in further studies. It does dwell a lot on portfolio theories which are described in detail, with numerous examples. The chapter-ending exercises are graded with easier questions in the beginning, and extremely challenging ones in the end. I am a lecturer in Finance for a university in the UK. I evaluated this book for use in an Executive MBA course in portfolio management after previously using "Investment Analysis and Portfolio Management" by Reilly and Brown. The Reilly book takes a more quantitative approach to the valuation of various assets and is more comprehensive than "Investments" in terms of its coverage of securities and markets but I ultimately opted for "Investments" due to its clarity, organization, and quality writing style. The authors do an excellent job of communicating fairly complex concepts to a student with little or no background in finance. If you are studying for the CFA or need a more advanced text, I can recommmend the Reilly book. If you are a practitioner or looking for a very mathematically rigorous text in portfolio management, I can recommend "Active Portfolio Management" by Grinold. But for an undergraduate or graduate student looking for an excellent primer on stocks, bonds, options, futures and the workings of the markets they are traded on, look no further than "Investments". One note: we were able to obtain a paperback copy of the text at much reduced cost. The book is good. But if you can solve all the problems (buy the solutions manual) then you will be able to extract all the value from it. 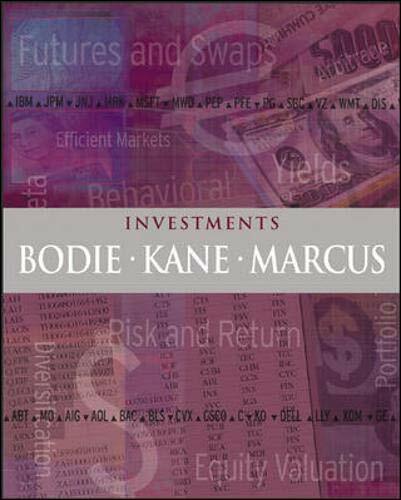 Bodie/Kane/Marcus is the leading textbook in the graduate investments market. It is recognized as the best blend of practical and theoretical coverage, while maintaining an appropriate rigor and clear writing style. Its unifying theme is that security markets are nearly efficient, meaning that most securities are usually priced appropriately given their risk and return attributes. The text places greater emphasis on asset allocation, and offers a much broader and deeper treatment of futures, options, and other derivative security markets than most investment texts. The world's most exciting, fastest-growing new market? It's where you least expect it: at the bottom of the pyramid. Collectively, the world's billions of poor people have immense entrepreneurial capabilities and buying power. You can learn how to serve them and help millions of the world's poorest people escape poverty. It is being done-profitably. 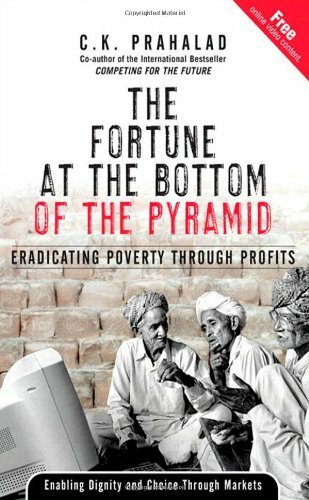 Whether you're a business leader or an anti-poverty activist, business guru Prahalad shows why you can't afford to ignore "Bottom of the Pyramid" (BOP) markets. 11. 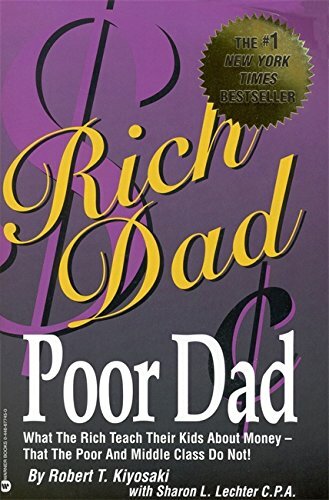 Rich Dad, Poor Dad: What the Rich Teach Their Kids About Money--That the Poor and Middle Class Do Not! "In this book, one of the world's most respected technical analysts presents a complete course in forecasting future market behavior through cyclical, trend, momentum, and volume signals. Unlike most technical analysis books, Gerald Appel's Technical Analysis offers step-by-step instructions virtually any investor can use to achieve breakthrough market success. Appel illuminates a wide range of strategies and timing models, demystifying even advanced technical analysis for the first time. He presents technical analysis solutions for short-, intermediate-, and long-term investors, and even for mutual fund investors. Many of the strategies and models he presents have never before been published. Several are based on MACD, a tool that revolutionized technical analysis¿and one that he created. This book distills over thirty years of trading experience into a practical guide you can start profiting from right now. Learn technical analysis from one of the world's top experts. How you can profit from technical analysis... step-by-step! Since reading George A book, I was able to fine tune my system/charts. I trade equities, and Futures. I use stochastics and Mcds + OBV. I was able to fine tune the settings from the information on this book. I added Envelops (Moving averages 21 days) - a lot better than Bollinger Bands. This is a must book to completely research if you are serious about trading. This book contains nearly all the necessary materials for a beginning trader to start trading. I think the only area which is missing is fundamental analysis. O'Neil's book has better covering of FA but the part about TA is very weak and hard to understand. I feel the TA part is more concise than the John Murphy's book. The later has more than 500 pages but without covering too much about trading psychology. 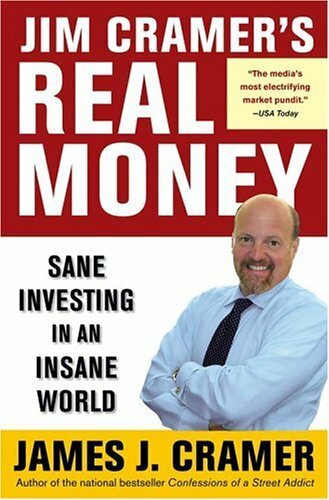 I learned quite a lot about psychology from this book which I am using everyday in my trading. Some of them are also useful for my daily life. Another strong area of this book is it combines the TA indicators to form a trading system. I got the idea to develop my own trading system from it. Although my system is very different from Elder's one, his idea is valid. Among the hundred trading books that I have read, this is still one of my best favorite and I am still reading it from time to time. The price is slightly high, but I recovered the money from my first trade. Really good!! 2 Years ago I became a full-time trader after taking several courses and reading more than 40 books on trading. Dr. Elder's book is the ONLY one that has made me money, a lot of money (603% last year). The first half of the book deals with the psychology of both the market and the trader. I didn't fully appreciate this portion of Dr. Elder's book until I began trading. This is the biggest obsticle of the trader. His insight has really helped me to understand the movements of the market and myself as a trader. The second half of 'Trading for a Living' deals with technical analysis and money management. This has proved invaluable to me. There is so much accurate information I've read the book eight times, that's how jam packed it is with useable information. Also, every word matters--no fluff at all--unlike most of the books on trading I've read. And, don't overlook his money management chapter. This is where amatuers fail. His simple money management system will help to elivate you to a professional trader. If you want to make money, this is the book. I am a professional trader. This book has a good section on psychology but thats it. Totally worthless when it comes to the technical part. In fact I always wondered what made this book so popular with the public. I guess most people read the books but don't use the knowledge in them. Alexander Elder is first and foremost a psychiatrist, and it shows when he explains his insights into individual and mass psychology in the first two chapters of the book. These two chapters are the real gold in the book; i have not read a more succinct and hard-hitting explanation of the behavior of individuals and crowds, and these two chapters are the ones you want to read. The rest of the book is devoted to the basics of technical analysis. 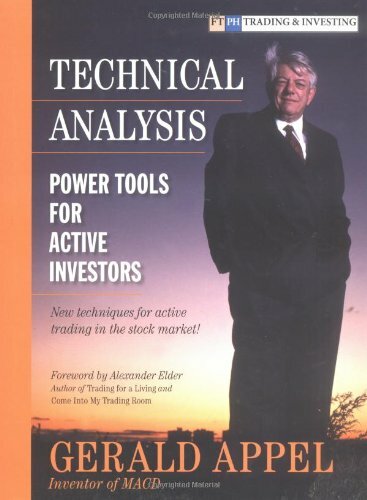 There is a lot of stuff out there on technical analysis so the stuff in Elder's book is likely to be somewhat outdated. Nevertheless, read this book for the part on the psychology. This is fundamental and basic for any investor or trader, and is crucial to your success in the markets. Aside from psychology and money management, this book is an essential reference about formulas (MACD, WILLIAMS %R, ADX and at least a dozen more). It shows whether such oscillators are trend-indicating or trend-following, whether one should use it within trading ranges or when trading a trend. Most (if not all) of these indicators contain its origins and market psychology, the formula and worksheet / chart examples and how to use it in bullish / bearish markets. This book is ten years old. But it still proves correct in areas that couldn't be forseen back then. Although obtaining and processing all the financial data with appropriate hard- and software was a challenge back in 1993, the book does not spend too much time on such (volatile) details. The Handbook of Fixed Income Securities occupies the top spot as the most authoritative, widely read reference in the global fixed income marketplace. First published in 1983, this comprehensive survey of current knowledge features contributions from leading academics and practitioners and has carved out a niche that cannot and will not be equaled by any other single sourcebook. I totally agree with Amit's review.For a practitioner's perspective Bruce Tuckman's "Fixed Income Securities: Tools for Today's Markets" is a much better choice than Fabozzi. Many low-priced stocks have out performed fixed securities.Two books that have proven this out are:(1)Guaranteed Profits With Small Stocks: The Only Stock Investment System That Comes With A $5,000 Guarantee by R. Max Bowser, and (2) Making Dollars With Pennies: How The Small Investor Can Beat The Wizards On Wall Street by R. Max Bowser. Both books are available used and new on Amazon.com. 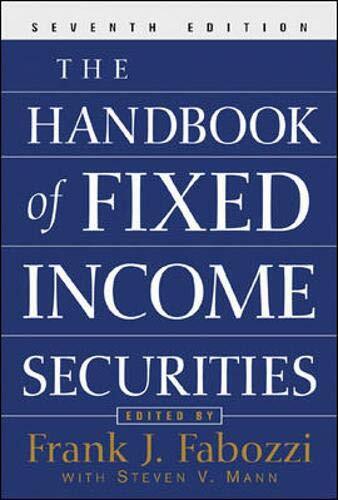 If you want to learn about fixed income securities, then this is your book. It is very comprehensive and contains a wealth of information. The only downside to this book is that, unless you really, really interested in fixed income, it will put you too sleep. There were several times where I had to re-read paragraphs/pages, because I went into a daydream. Despite this drawback, it is an excellent resource and I will not give it my copy of it. This is meant to be the fixed income manual, but if there are dozens of uncorrected math errors which is inexcusable in a sixth edition.This book is overrated, and if you are new to this subject, it is dangerous. I recommend Bruce Tuckman's Fixed Income Securities on the same topic as a better alternative. I noticed it is currently the #3 seller with banks and credit unions (Fabozzi's isn't even on the radar screen), and there is a good reason they prefer Tuckman's book over this one. In Come Into My Trading Room: A Complete Guide to Trading, Dr. Alexander Elder takes you far beyond the three Ms (Mind, Method, Money) of his international bestseller Trading for a Living. He teaches you to manage your money and time, as well as strategy, so that you can enter the markets with confidence and exit with profits. This essential book educates the novice and gives more power to the professional through expert advice, proven trading methods, and something entirely uniquea visit to Dr. Elders own trading room. You get to follow him through several actual trades, whose entries and exits illustrate many of the key concepts of this book. Be sure to work through the companion volume to this bookStudy Guide for Come Into My Trading Roombefore you risk a dollar in the markets. The Study Guide features 100 questions and answers and almost 50 charts to test your knowledge. Grade yourself to make sure you know enough about the nine key areas of trading. Work through eight case histories, select entry and exit points, and find out how well you understand what needs to be done in every trade. Use Dr. Elders Study Guide to make sure that you can measure up to your competitors and surpass them. I really enjoyed the first book by Dr Elder, "Trading for a Living" very much. 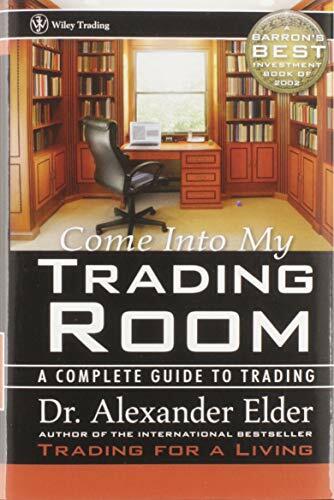 I have just finished Dr Elder's new book, "Come Into My Trading Room" and have enjoyed it very much too. There are several new ideas in the new book. A lot of the material in this book was presented in "Trading for a Living". It is the best book that combined the 3Ms -- Mind, Method and Money Management -- required for successful traders. 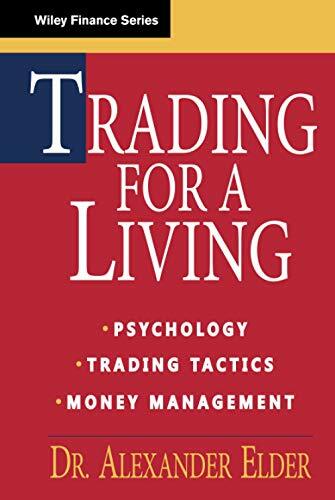 It expands on the methods presented in "Trading for a Living" and makes the triple screen concept very clear. I think the great difference between this book and other trading books is Dr Elder's background as a psychiatrist. He provides valuable insights into understanding the human element of market behavior, and the individual trader that makes his work unique. Dr Elder shares his own, successful trading strategy in a clear, concise, and easy to understand style. He does a great job showing some of his successful trades. I'm sure this is one of the finest books on developing trading skills. It is not only fun and easy to read but it is profitable. It pays back. 1) "Some of the best trading opportunities occur after false breakouts" - I'm finding this more and more these days, which is why I actively use my Momentum Divergence indicators to separate the fakeouts from the real breakouts. Elder does a great job showing numerous charts throughout his book, laying the groundwork for the divergence examples he explains in great depth when you step into his trading room in the final chapter with many actual trading examples. You need to understand the concept of divergence to trade today's markets more profitably, and this book will be a great help in showing you how to trade divergence setups. 2) Triple Screen - Elder explains the important of using multiple timeframes, though he advocates two to no more than three time frames. The key concept is that whatever timeframe you use, you need to go up to the next longer timeframe to get confirmation. This provides the bigger picture trend to define the nature of your trades, and then you can return to the shorter timeframe and make more tactical decisions with this broader trend in mind as well. 3) Grade Your Performance - Elder actually quantifies trading effectiveness by defining the width of the channel for a stock, and what percentage of the move the trader actually captured to determine his grade. Regardless of how a trader measures his performance, it must be tracked in order to make improvements and experience constant improvement. 4) The SafeZone Stop - While I have not tested this indicator in my systems yet, Elder's SafeZone Stop looks like a more effective way to place a trailing stop than standard moving averages. The SafeZone Stop appears to adjust more rapidly to trending versus flat periods for a stock, compared to moving averages. This new technique should easily be worth many times the price of this book by itself. 5) Chapter 9: Trading for a Living - This chapter was my most highlighted chapter, as Elder covers the stages of growth from beginning to professional trader, covering a wide range of topics on trading discipline, time management, organization and developing a viable trading plan, to highlight just a few. All in all, Come Into My Trading Room is an excellent follow-up to Elder's Trading For A Living, and I think you'll also find it a quick and thought-provoking read. Great book. This should be the first one you buy. The book is very well written and drives home the three Ms over and over. You can't hear it enough because when your finger is on the trigger, this training will help you execute with confidence. You will not be a loser if you follow the plan. The problem is, very few have the discipline. I have long been and investor, but I wanted to improve my exit strategies. I knew successful traders had to have great exit strategies or they could not survive very long. Consequently, I actually bought a book on trading. The book helped me with exit strategies, but also completely opened up the world of trading. While I still invest for the long term, I have set up an account for short term trading. I read the book and worked through the workbook in about three days. I already had much of the preliminary work established from my investing experience. Within about a month, I had a trading plan that I liked and a sound money management and trade evaluation system. While I still primary invest in longer term trends, I have had a blast making numerous small short-term trend trades. This book will help any trader who reads it with an open mind and strictly adheres to the Three Ms - Mind, Method, and Money (Management). If you are and investor, then this book will expose you to what else is going on with your markets. Very good book. I agree that the charts could have been better and more relevant to wha Elder was discussing in the text. His mental toughness section is excellent. Trading is a mental game, and a trader has to stay mentally tough or take a break. Mark Douglas's books are the best on this. Laurence Connors places a big emphasis on this too. Dr. Elder holds nothing back. The author shares with you a method, a system, and a technique for trading that can be applied to all markets. This book and the study guide will take you step by step through the process of trading. If you don't have a trading plan this book will show you how to develope one. Also the author nudges you to awareness of the all important step of making the trading plan yours. If you are a novice this can be a huge hurdle to overcome without guidance. If you are a more experienced trader and can admit to yourself your result could be better, buy the book, its worth it. Stock investing is a relatively recent phenomenon and the inventory of true classics is somewhat slim. When asked, people in the know will always list books by Benjamin Graham, Burton G. Malkiel's A Random Walk Down Wall Street, and Common Stocks and Uncommon Profits and Other Writings by Philip A. Fisher. You'll know you're getting really good advice if they also mention Reminiscences of a Stock Operator by Edwin Lef&egrave;vre. I have read this book several times and always find it entertaining. The psychology of the markets is, I guess, always fairly similar; however, this book will not make you a dime. 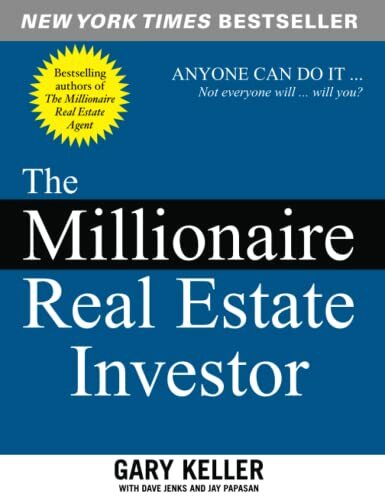 Do not buy this book if you think that you will learn valuable money making insights by reading it. The worth in this book is in the entertainment value. Experienced traders will relate to certain events and conditions mentioned in this book (at least I do). Really, this book is a just a novel for traders that transcends generations in terms of relevance. Victor Niederhoffer heavily borrowed from this book when he wrote "Education of a Speculator." In that book, he basically said that he would not give up his trading secrets for the price of a book. What came about was a biography on the basics of how he developed his mind of a successful trader. That is the essence of "Reminiscences of a Stock Operator:" how Edwin LeFevre developed his trading mind. Will a neophite leap frog elemental educational experience in the financial markets by instead reading this book? I think not. The neophite will also not learn of a succesful money making strategy by reading this book. I have a library of nearly 100 books about the markets. Reminiscences was the third book I ever read and it remains my "bible" more than a decade later. You might wonder how an 80-year old book about the stock market could still be relevant. Well, that is because financial markets are determined by human nature as much as anything else, and human nature acts today as it did a century ago. Greed, fear, herd thinking, impatience - those are the same influences that drive markets today and haunt traders and investors who are striving to make the right decisions. Many of the lessons that dictate my investment philosophy ("Cut your losses, let your winners run", "if you don't like the odds, don't bet") were taught to me by the protagonist, who is the fictional characterization of the legendary Jesse Livermore. That he tells his stories with such color and suspense makes the book completely entertaining beyond its invaluable trading lessons. BUY THIS BOOK FOR YOURSELF. BUY ANOTHER ONE FOR A FRIEND (I've given 4 copies). You'll not only improve your own investing results, but your gift will impress as well. I bought this book after it was mentioned on the book Market Wizards. After I finished reading it, I found myself going back to it over and over again. This is a must read book for anyone that is really interesting in how the trading markets work in real life. It's brilliant, funny... Great!!!!!!! This book's contribution to the literature of the financial markets is incontrovertible. For an investing public starved of trading wisdom in a pre-Markowitz era when stock traders relied more or less on rules of thumb, "Reminiscences" stood out as a true gem. It should be read both as a source of profound insight into the workings of financial markets past and present, and as a critique of speculative activity in the years prior to the bursting of the stock market bubble in 1929. One of the most important lessons mentioned in the book is that a trader does not have to be invested in the market all the time. It sounds hackneyed today, but this tenet is actually difficult to follow in practice, given the propensity of traders and investors to ride out losing positions. It is important to remember that, having been written during a massive bull run and prior to the systemic failure of the stock market in 1929, during which the market's 'boundless hope and optimism', as described in Galbraith's "The Great Crash 1929", run roughshod over sentiments that the markets were overheating, "Reminiscences" should be read with an eye towards portfolio preservation, not injudicious speculation. Hardcover Marketplace Book version worth the price ? However I wanted a version printed on good paper so it would last a long time. I bought a very costly hardcover Marketplace copy, just to discover that it was printed on weak paper. 18. 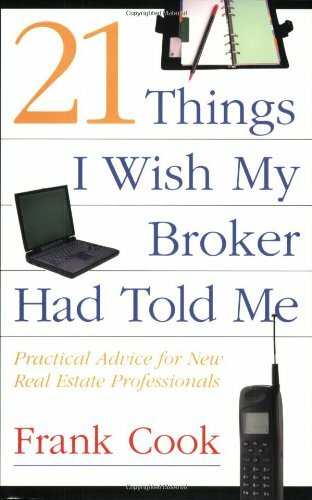 21 Things I Wish My Broker Had Told Me : Practical Advice for New Real Estate Professionals. If you are used to reading public company annual reports, including the (usually) short letters from company presidents, you know how shallow, self-congratulatory and sometimes even misleading these reports can be. On the (extreme) other hand, Warren Buffett's annual letters in his Berkshire Hathaway annual reports represent detailed, on-target, lively and highly readable masterpieces of valuable education, information, and wit. You can read Buffett's annual letters for free at Berkshire Hathaway's website, but it will take you a while, since there are many of them (back to 1977) and they run 20+ pages each. Further, Buffett's various letters weren't intended to serve as serial chapters of a book. Better, you can shell out the cost of Lawrence Cunningham's thematically organized collection (220 pages or so)of Buffett's essays and gain a better appreciation of the numerous important topics that Buffett addresses. These topics include, first and foremost, the critical impact of the quality of corporate governance--Buffett was years ahead of most investors in focusing on this area. Other topics include corporate finance (addressed with a clarity that is both unusual and revealing of Buffett's powers of insight), mergers and acquisitions, accounting (Buffett is the only person I know who can regularly make accounting seem positively interesting), taxes, junk bonds and much more. Moreover, Buffett's Berkshire Hathaway is nearly unique in its intense commitment to shareholders. The opposite (a commitment to management entrenchment and exorbitant compensation) is the norm with so many companies today that it would be easy to forget how vital shareholder primacy should be. As you read Buffett's essays you will have a model to measure other companies against--which should come in handy the next time you exercise your voting rights as a shareholder. Life is short. As an investor or a concerned citizen-shareholder, you can learn through your own experiences, of course. There's nothing wrong with that, but the process can be long and expensive. (Depending on one's experiences, it can be very expensive.) Alternately, you can learn via Warren Buffett's lifetime of experiences distilled into a very readable, lively, fascinating collection of his essays. Buy the book-I doubt that you'll regret it. 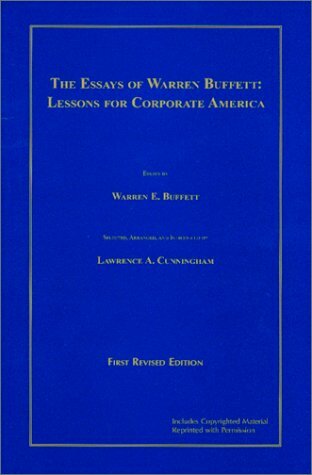 This collection of essays by Warren E. Buffett, compiled by Lawrence A. Cunningham, is an excellent introduction to basic investment concepts that have proven successful for the 'Oracle of Omaha' and his loyal following. The reader will want to supplement these papers periodically with more timely updates from the annual letter Buffett writes to the shareholders of Berkshire Hathaway. Buffett's ideas have been widely reported so there are no surprises here. To be sure, Buffett is consistent. He pokes fun at the 'efficient market' school which confuses stock price with stock value. Early on we hear him calling for the expensing of stock options and urging more transparent, segmented financial reporting by large companies. For Buffett mechanically rebalancing portfolios to achieve diversification, back in fashion, may miss the point of holding-on to your best investments for superior returns. Distinguishing between Growth and Value styles of investing is unnecessary and misleading. If you have ever wondered why Berkshire Hathaway does not pay a dividend or why it doesn't split its high stock price, Buffett gives his reasoned explanations. It was Warren Buffett's fundamental school mentor Benjamin Graham who introduced the allegory of Mr. Market and the concept of 'margin of safety' both of which get satisfactory attention here. Most importantly, I think, Buffett reminds us continually that as stock market investors we are buying for the long-term parts of real businesses that produce measurable cash flows as evidence of their intrinsic value. Real businesses that produce real value are run by dedicated, competent leaders who know how to allocate capital. Hanging-on to such deceptively simple principles can get an investor through some very rough market cycles. Reading this collection is a lot like listening to the conversation of an avuncular and very experienced elder who with great patience, common sense, and wit explains what principles have guided his (investment) life. Indeed uncommon sense and integrity are hallmarks of Warren Buffett's writings. Humor too. In what other serious investment study will you get quotations from such luminaries as Woody Allen, Mae West, and Yogi Berra. Buffett loves aphorisms to make his point. I challenge anyone reading this book not to underline or commit to memory some of these gems. For a general introduction to the fundamental school view of investing this collection is required reading. Delayed in print and not "OUT OF PRINT"
I have been talking to Professor Cunningham and apparently, this book is not "out of print" as amazon states (Third party private sellers are selling the book for as much as $99) but rather, just delayed in printing. He will have the next shipment of books to amazon soon, and it will be retailing for US$25. This should appear on amazon very soon, so just keep checking back! For bulk orders, please contact Professor Cunningham directly at cunninlb@mail.bc.edu. "The Essays of Warren Buffett" is a textbook on proper business practice used at Cardozo Law. Yeah, I know you can go to the Berkshire Hathaway website and get all of Buffett's letters to the shareholders (in fact those who truly want to know more can do this). But this book cuts to the chase. It is edited in such a way that the essays are grouped in a logical manner. Thus, you don't have to plow through all the letters ( which at times can be boring and redundant).This makes reading rather convenient and efficient. The parts of the book that are most useful for an individual investor are the sections on "corporate governance" (in which Buffett describes what makes a good CEO and Board) and on "corporate finance and investing" ( in which Buffett argues against the Efficient Market Theory and argues for the Graham-Dodd approach). I found the essays on "accounting and valuation" and "accounting policy and tax matters" a bit tedious (though the section on stock options was rather interesting). * Swing Trading - The backbone of Linda's success. Not only will you learn exactly how to swing trade, you will also learn specific advanced techniques never before made public! * News - Among the strategies revealed is an intra-day news strategy they use to exploit the herd when the 8:30am economic reports are released. This strategy will be especially appreciated by bond traders and currency traders. * Pattern Recognition - You will learn some of the best short-term set-up patterns available. Larry and Linda will also teach you how they combine these patterns with other strategies to identify explosive moves. * ADX - In our opinion, ADX is one of the most powerful and misunderstood indicators available to traders. Now, for the first time, they reveal a handful of short-term trading strategies they use in conjunction with this terrific indicator. * Volatility - You will learn how to identify markets that are about to explode and how to trade these exciting situations. 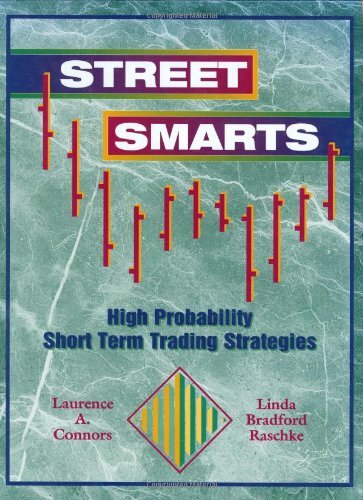 Street Smarts is the perfect title for this book which was written by two savvy and very successful futures traders. Linda Bradford Raschke and Laurence Connors share some of the best contrarian trading strategies that you will ever lay your eyes on. Of particular interest are the Turtle Soup Plus One and the Turtle Soup strategies that key on false breakouts. These strategies can be applied both intra-day and on a position trading basis and are guaranteed to make you money. Read this book. It is no frills, just excellent trading strategies from two pros. First of all let me state that you must already have a certain concept of trading and trading terminology to benefit from this book. You must also understand and believe the importance of chart reading as a trader to fully understand what the authors are saying. I believe some of the negativity written about this books is because the readers didnt understand trading concepts as applied to chart reading or disregard chart reading altogether as a valid tool to trading. With this said, I have to say that the book was beneficial for me as a short term trader. It helped me find patterns that I would've otherwise overlooked before reading this book. Let me also add that the turtle soup and turtle soup plus one does not really apply 100%, per say, to the fast momentum stocks I screen for. However, reading those strategies helped fine tune my entry and exit strategies when I enter a trade. It did so by helping me look for intraday swings and the probabilities of possible price action for next day trading based on what happened to the price at the close. If anything, the book helped me alot because it opened my mind to other trading possibilities and thus form ideas for myself. Like another reader said, the authors are not mechanical traders. Thus these patterns and strategies should not be taken mechanically. Instead one should trade cautiously using discretionary stops. The book will only teach you about patterns in the market that have a high probable outcome. It's up to the individual to trade the patterns and use protective stops in the case the anticipated move goes wrong. This has helped my trading immeasurably. It is for swing traders. It is very specific about setups, lots of examples, and lots of setups with explanations and wisdom worth studying. I have probably 50 or 60 books on trading. They all have something to them, but this is one of the top books in my libary and I am using it all the time. Hmmm, this book is way over priced. The bulk of the concepts are not original ideas, most of the concepts were renamed, creating the illusion that this is some pathway to riches. Read the classic trading books first, and save your money on this one. First of all, I noticed many other reviews written that slagged the book badly. Perhaps they had high expectations in terms of what riches this book could bring them. However, it's clear those readers have the wrong idea. There is no holy grail or single book that can get you rich. 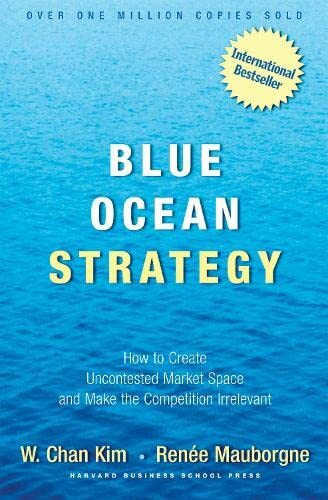 The authors of this book repeatedly say that the strategies are not meant to be mechanical - suggesting that they require flexibility, and the ideas are there to incorporate into your own trading. I personally would not place much weight on whether this book will make you money or not simply by following the proposed trading 'systems'. Traders are supposed to grow and develop, not copy off some book robotically and become rich. The book exhibits excellent common sense and simplicity which sometimes traders forget. It will offer you some clarity if you become confused or frustrated with trading. It will also offer the more experienced traders some alternative perspective. There is probably nothing new in this book that you cannot find elsewhere - but this is probably true for all other trading books.